When I was a kid growing up in Bellevue, we went to the Village Inn (now the home of International Jewelers), or Tommy's Den (it was a drive-in like Burgermaster or you could be seated inside...now the home of Maggiano's). Back in the day, there were some very small Mom and Pop places to get Eggs Benedict on the weekends...more specifically, Sunday morning. After church services. These were smack dab in the "million mile" of Bellevue Way, that has now given way to mega stores like Crate & Barrel and Maggianos' Little Italy...but, back to the food, here's where you can still find that sunnyside up, so evil, yet so life affirming dish with that lemony, zesty zing. On North Bellevue Way, tucked in the Northtowne Center, there is the Brief Encounter Café. This Mom and Pop, neighborhood-style café and diner serves a delicious breakfast and lunch menu. Eggs Benedict is served up classic style. The Brief Encounter is family-owned and family pride shows in their service and food preparation. Small and busy so get there early. Lots of regulars. Bring a paper, spread out and enjoy a strong cup of java too. If you like Eggs Benedict "mom style", then there's Chace's Pancake Corral located on South Bellevue Way. Chace's is a no nonsense restaurant that has been serving it up since 1958. They must be doing something right. Great Boyd's coffee. Love this place...5 stars in my book. Basil's Eggs Benedict serves on Tuscan style peasant bread with two poached eggs with your choice of salmon lox, prosciutto or spinach and topped with pesto cream sauce. Basil's is in the atrium of the Hilton Bellevue Hotel. 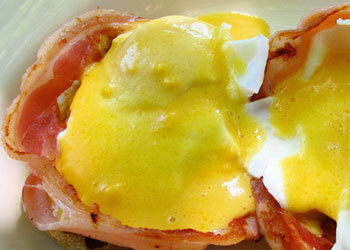 Another family-friendly place in Bellevue Eastgate area that has been serving up Eggs Benedict since 1967. Lil Jon's serves no nonsense breakfast, lunch and dinner. It has a bar too and serves cocktails all day. If you are into pull tabs, this is your spot. Located at the Hyatt Regency Bellevue, Twisted Cork is open for breakfast every morning, featuring a full menu and buffet. Breakfast and brunch favorites include signature house-made beignets served with a duo of dipping sauces including vanilla bean cream and a seasonal fruit compote; eggs benedict with house-made black pepper and chive biscuits topped with prosciutto, poached egg and a citrus cream sauce; and stuffed French toast infused with bananas, honey mascarpone and Nutella, served with sour cherry compote, Myers rum maple syrup and pecan brittle. 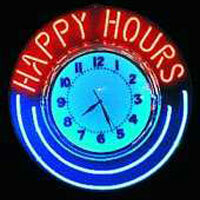 $3 mimosas and Bloody Mary's available throughout breakfast until 10:30am weekdays and 11:30am on weekends. Got a favorite breakfast/brunch spot not on our list? Tell us about it!